Address: 445350 Samarskaya obl., Zhigulevsk, Tkacheva st. ,109 A. National Park Samarskaya Luka, in the Volzhsky, Syzransky and Stavropolsky Districts of Samarskaya Region was founded in 1984. Its area is 123 thousand ha. It occupies the eastern part of the Zhigulevskaya highland and plateau, bordered by the Volga and by Usinsky Bay of the Kuibyshevskoye water reservoir. 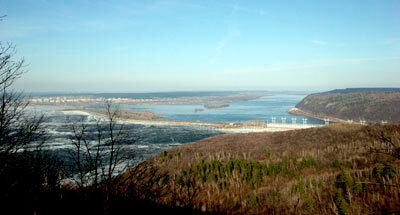 On the north it has a border with Zhigulevsky Zapovednik. 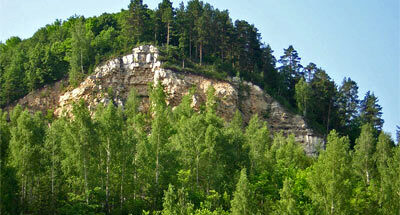 In the Zhiguli low mountains area pine and oak-lime forests are spread. On the upper Districts and southern slopes so-called "stone steppes" are developed (with feather-grass) between forested areas. In the highland valleys oak-lime and lime forests with maple prevail (the Charokaisky forest), these being mostly coppice and young woods. In the south-western part of the Park there are forest steppes with oak and oak-lime sites. The steppe parts are ploughed. In flood zones wet meadows, small lakes and canals are interspersed with oak groves and willow thickets. The Park’s unique biological richness (with more than 1000 vascular plant species) and endemism of its flora are notable. Elk, wild boar, alpine and European hare, badger, fox, marten are common; wolves can be met. Fauna is made up of vertebrate animals to the number of 54 mammal species, 160 bird species, 9 reptile species, and 8 amphibian species.